With a failed military coup in 2016 the EU-Turkey relationship reached a turning point: from accession talks back to the bazaar. 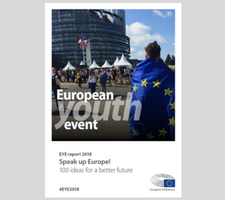 - What is best for the young generation in Turkey and in the European Union? I firmly belive that EU - Turkish relations should be improved. First of all , it's a beneficial assigment for both. In European Union will be able to integrate one more country which belongs to G20 and is one of the strongest in the world. Futhermore , EU will control the percent of immigration that coming in EU . On the other hand , Turkish will be able to trade their products in a free way in the Single Market . Additionally , it's an opportunity for Turkish Goverment to democratize the regime and respect the Human Rights . However , in first place Turkey must fulfil the Creteria of Copenhagen and accept the pre-accesion strategy . It means that both sides should have trust in their relationship and be ready to make stable movements . Young people from Turkey need to travel to Europe. At the same time European Youth need to travel to Turkey. They need to learn that these 2 worlds are not so much different. As accession seems impossible now, culture differences appears to be a real barrier, Europe should continue building partnership. EVS, Erasmus, Erasmus plus exchanges work well, young people have a chance to experience the reality. Since media in every country creates the image of other country the way that is useful for current politics, it's crucial to enable youth to make their own opinions. Turkish youth is craving Europe, they want to experience European life. But at the same time they want to stay in Turkey living life they know. It's important to give them European experience, to give them ideas, chance for better education, chance to speak English, chance to broaden their horizons. If Europe won't give them this chance, they will be separated from freedom ideas, from development ideas. This is current politics of conservative society and Europe should stop it. I am EVS volunteer in Turkey. I see that what young people need is not becoming EU citizens. They need support. If Europe gives them possibilities they will feel closer to European ideas in the future. We can't change how conservative groups think. But we can support old generation of activists, group of West oriented people, and we can influence how young generation is raised. Europe is responsible of making them aware of what they can do. Otherwise they will be pacified by current government policy. People are not waiting for being EU citizen. What they want is to be closer to Europe than they are now, they want to feel accepted, they want freedom.